A carjacking suspect drove on a shredded wheel as she fled deputies in the South Los Angeles area. 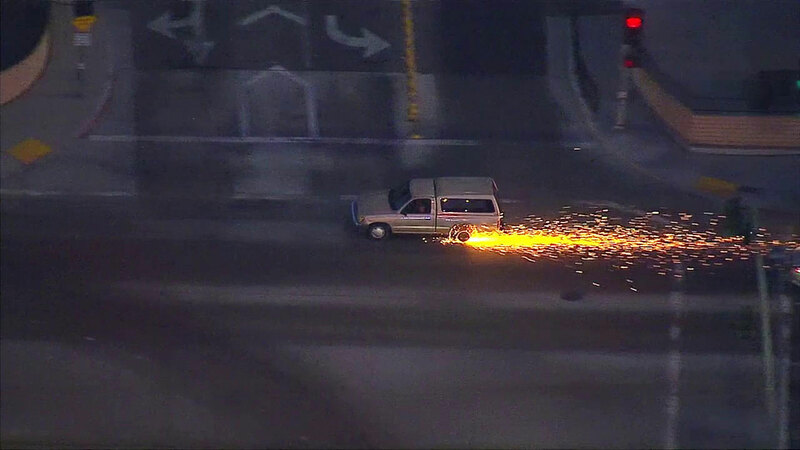 BELL GARDENS, CA -- A carjacking suspect in a gold-colored pickup truck led police on a chase through surface streets in the South Los Angeles area, at times throwing up a shower of sparks from a wheel that was shredded by a spike strip. 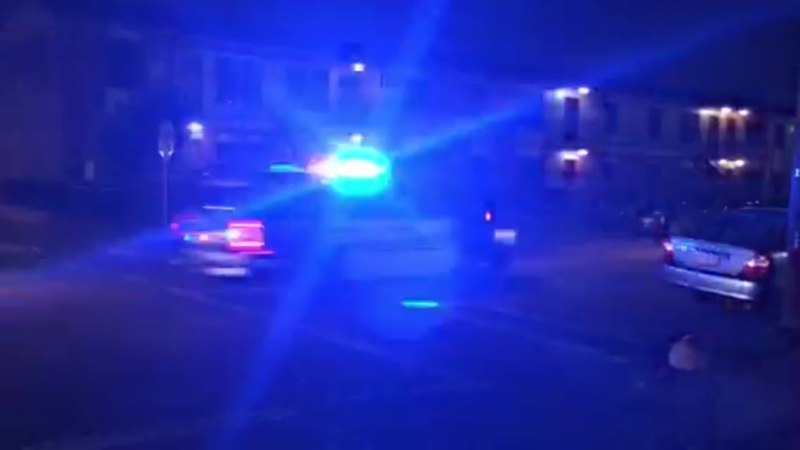 The suspect led deputies through surface streets for about 30 minutes, weaving through traffic and narrowly avoiding pedestrians. At one point, the female driver drove over a spike strip, shredding a right rear tire. A woman was arrested after a chase through South Los Angeles on Wednesday, July 13, 2016. The chase ended when the suspect pulled into the Bicycle Casino in Bell Gardens and a wall of deputies surrounded the vehicle, ordering the woman to come out of the vehicle. She emerged and was tackled and handcuffed by deputies in the parking lot. Police chasing suspect in southwest Houston. Police say the suspect crashed through the gate of an apartment complex and was arrested.